Today I am sharing with you (only figuratively, as it’s all for me & Steve!) the wonderfully thoughtful care package my sis-in-law sent (thanks again!!!). 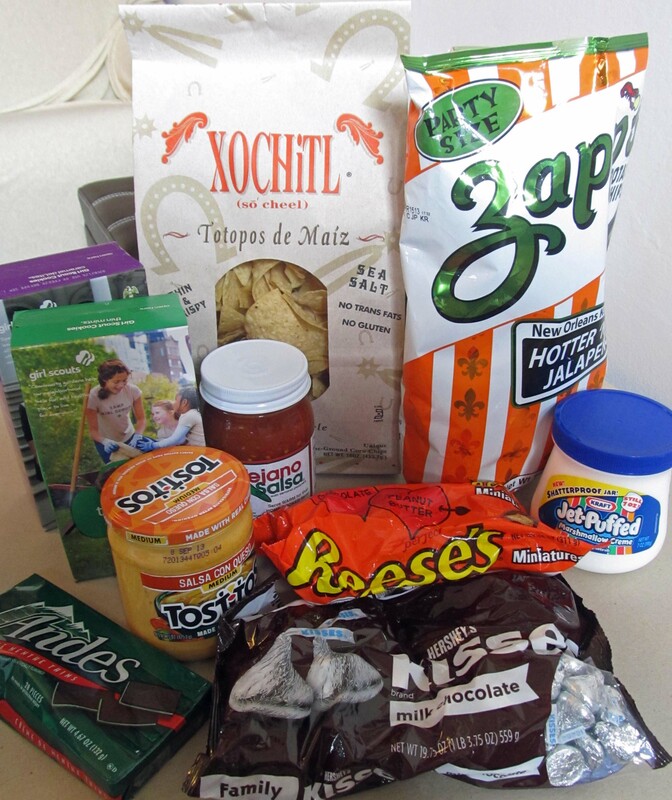 As you may recall, back when, I had a post entitled “Groceries of My Dreams.” Well, my sis-in-law decided to send some of those things, as well as some other goodies. Very thoughtful of her, yes? And I bet she paid alot more to ship it here than the cost of the actual contents of the box…. So, you would think sending it DHL and paying a large fee would get our box here easily. Ha! (Have you not been paying attention this past year?) NOTHING in Italy is that easy. First came the forms (there are ALWAYS forms). Since this was “food” (I’m not sure 4 out of 5 nutritionist would agree), it required a Ministry of Health form. With that, we had to send Steve’s passport and permesso (why on earth would a jar of Fluff require all this?!?!). And then for the final insult to injury….wait for it…. For receiving a wonderful gift, we had the privilege of having to pay customs 81 euros to hand over the box (about $105.00)!!! So, I am pretty sure at this point we are now in the possession (though not for long) of the world’s most expensive tortilla chips. (As I opened the bag and began to eat them I would count with each one, “one dollar, two dollars….”). But man, are they good! The moral of today’s post is: Be careful what you wish for!